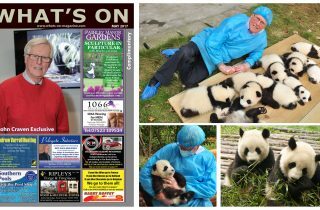 What’s On Magazine May 2017 edition features an exclusive with John Craven. 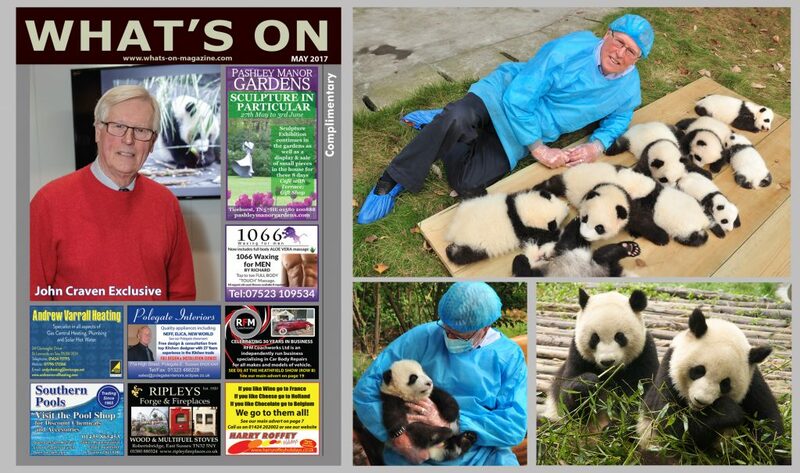 What’s On Magazine met up with John to hear about his long and perhaps lesser known association with Panda’s. 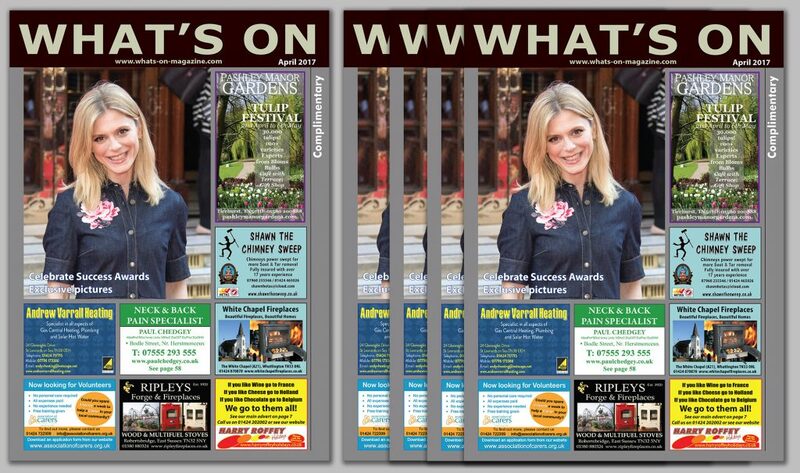 Click on the magazine or HERE to read online. 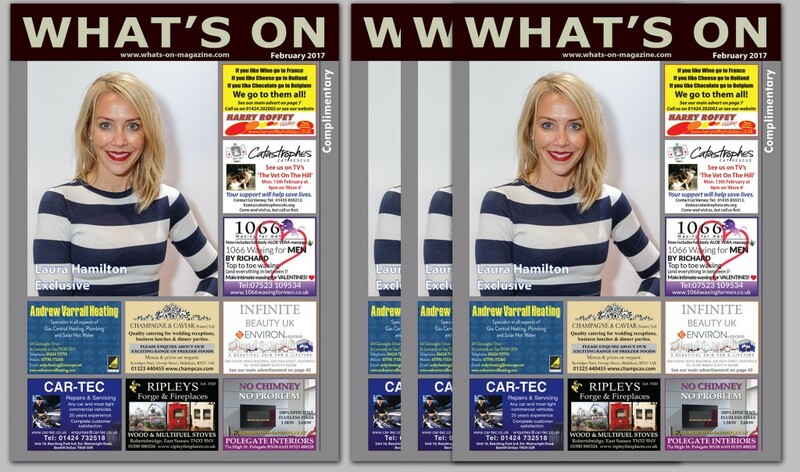 What’s On Magazine April 2017 includes exclusive pictures from The Success Awards. 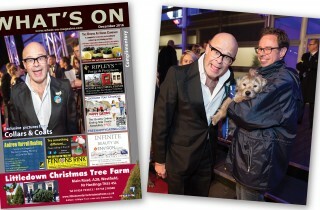 The Princes Trust invited What’s On Magazine to attend this glamorous event at the London Palladium. Ant & Dec hosted the 13th edition of the Awards and were joined by a host of guests including Thierry Henry, Emilia Fox, Gemma Arterton, Claudia Winkleman and Phillip Schofield. HRH The Prince of Wales, founder and President of The Prince’s Trust, attended The Prince’s Trust & TK Maxx Celebrate Success Awards national final which was held at the Palladium in London on 15th March 2017. The Prince’s Trust & TK Maxx Celebrate Success Awards, now in their thirteenth year, recognise disadvantaged young people who have overcome issues such as abuse, drug addiction, homelessness, depression and unemployment. 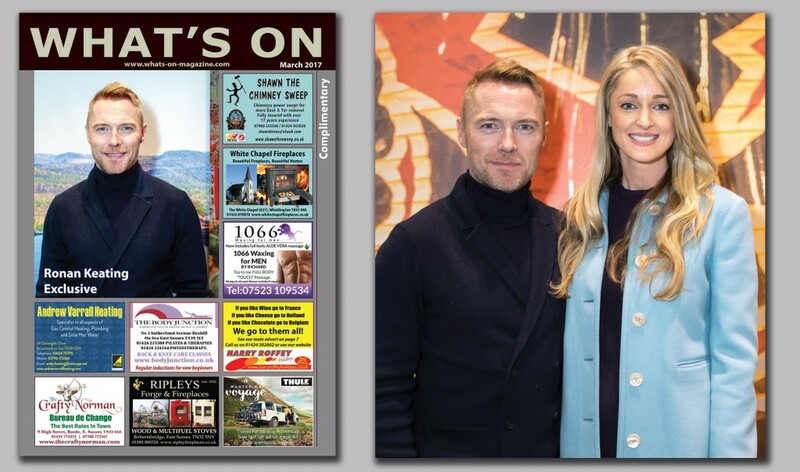 What’s On Magazine March 2017 edition features an exclusive with Ronan & Storm Keating. 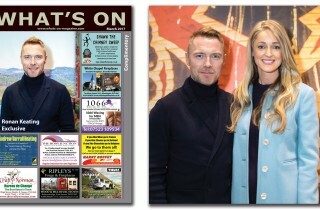 Ronan and Storm Keating talk about where and how they travel. Our February 2017 edition features an exclusive with Laura Hamilton. Laura Hamilton is a best known as one of the faces of Channel 4’s popular television show ‘A Place in the Sun’ and has hands on experience when it comes to property. She started renovating houses aged 19, and has developed 10 properties to date. released her first fitness app ‘Laura Hamilton’s Total Body Workout’ which is available on the iPhone & Android. 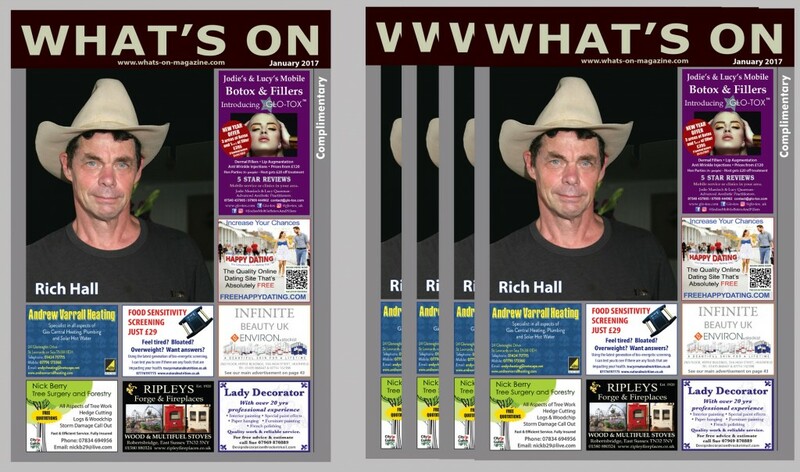 What’s On Magazine January 2017 edition features an interview with Rich Hall. To Texas and Rich Hall’s Inventing the Indian. His critically acclaimed grouchy, deadpan style has established him as a master of absurdist irony and the king of rapid-fire wit. A brand new live DVD “3:10 To Humour“ recorded at the Vaudeville Theatre in London’s West End in September 2015 has just been released by Universal Pictures (UK) and is now available. APRIL 5th until 8th 2017 – RICH HALL’S HOEDOWN IN LONDON – Leicester Square Theatre. 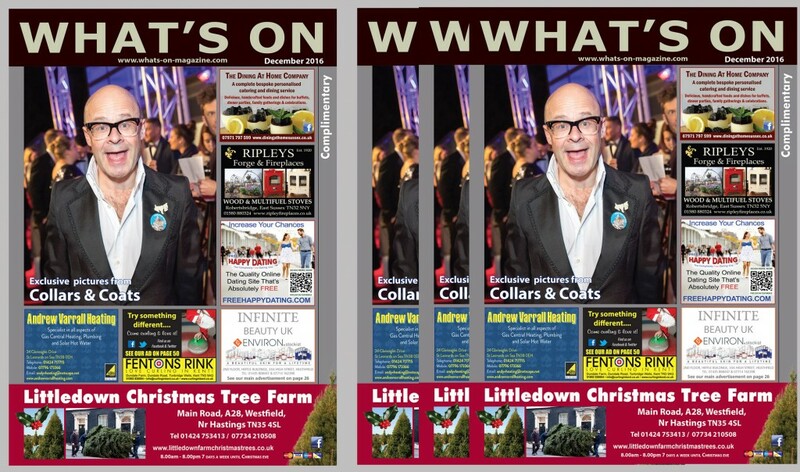 Our December edition of What’s On Magazine features our exclusive pictures from the red carpet at Collars & Coats 2016. The world’s most famous animal rescue, Battersea Dogs & Cats Home, once again wowed the world with the return of its star-studded Collars & Coats Gala Ball at the iconic Battersea Evolution in London. Celebrating its eighth successful year, the high-profile event is a highlight of the autumn social calendar, and is consistently regarded as one of the most unique and eagerly anticipated charity events. The annual charity extravaganza saw a host of UK and international stars take to the red carpet for this worthwhile cause to raise vital funds for Battersea Dogs & Cats Home’s work in rescuing and re-homing abandoned dogs.